How to Win the Nobel Prize: An Unexpected Life in Science, by J. Michael Bishop. - book suggestion. Italian virologist who shared the Nobel Prize for Physiology or Medicine in 1975 (with Howard M. Temin and David Baltimore, both of whom had studied under him) for their discoveries concerning the interaction between tumour viruses and the genetic material of the cell. Friedrich Wilhelm (Fritz) Strassmann was a German physical chemist who, with Otto Hahn and Lise Mietner, discovered neutron-induced nuclear fission in uranium (1938) and thereby opened the field of atomic energy used both in the atomic bomb for war and in nuclear reactors to produce electricity. Strassmann's analytical chemistry techniques showed up the lighter elements produced from neutron bombardment, which were the result of the splitting of the uranium atom into two lighter atoms. Earlier in his career, Strassmann codeveloped the rubidium-strontium technique of radio-dating geological samples. Born 22 Feb 1900; died 26 Sep 1982 at age 82. Born 22 Feb 1879; died 17 Dec 1947 at age 68. Danish physical chemist known for a widely applicable acid-base concept identical to that of Thomas Martin Lowry of England. Though both men introduced their definitions simultaneously (1923), they did so independently of each other. Acids are recognized by an excess of H+ ions, and bases have an excess of OH- ions. Brønsted was also an authority on the catalytic properties and strengths of acids and bases. His chief interest was thermodynamic studies, but he also did important work with electrolyte solutions. Heinrich Rudolf Hertz was a German physicist who was the first to broadcast and receive radio waves. He studied under Kirchhoff and Helmholtz in Berlin, and became professor at Bonn in 1889. His main work was on electromagnetic waves (1887). Hertz generated electric waves by means of the oscillatory discharge of a condenser through a loop provided with a spark gap, and then detecting them with a similar type of circuit. Hertz's condenser was a pair of metal rods, placed end to end with a small gap for a spark between them. Hertz was also the first to discover the photoelectric effect. The unit of frequency - one cycle per second - is named after him. Hertz died of blood poisoning in 1894 at the age of 37. Born 22 Feb 1824; died 23 Dec 1907 at age 83. 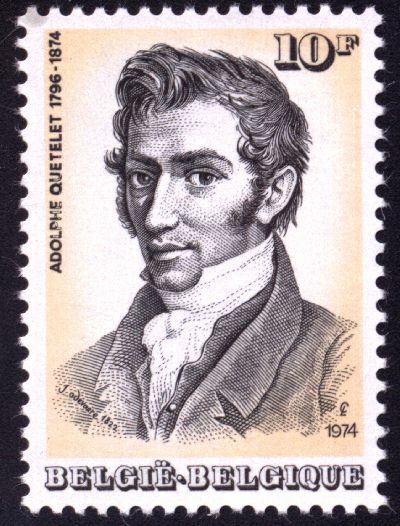 Lambert-Adolphe-Jacques Quetelet was a Belgian astronomer, statistician, mathematician and sociologist whose career began teaching mathematics at the Athenaeum, Brussels (1820), while also pursuing the study of astronomy from 1823. Quetelet was instrumental in setting up, and became the director of, a newly equipped Brussels Royal Observatory (opened 1833). From 1825, he began writing papers on social statistics, and in 1835 gained international recognition for publication of Sur l'homme et le developpement de ses facultés, essai d'une physique sociale. Whereas the normal curve had previously been applied to error correction, Quetelet used it to illustrate a distribution of measured human traits about the central value, giving the concept of the average man at the peak. In this way, for example, he applied a statistical view to the nature of criminal behaviour in society.«Image: from a 1974 Belgian postage stamp. Born 22 Feb 1785; died 27 Oct 1845 at age 60. Died 22 Feb 2002 at age 100 (born 25 Mar 1901). New Zealander social anthropologist whose major research was with the Maori and other peoples of Oceania and Southeast Asia. Firth conducted his first research in the British Solomon Islands 1928-29. 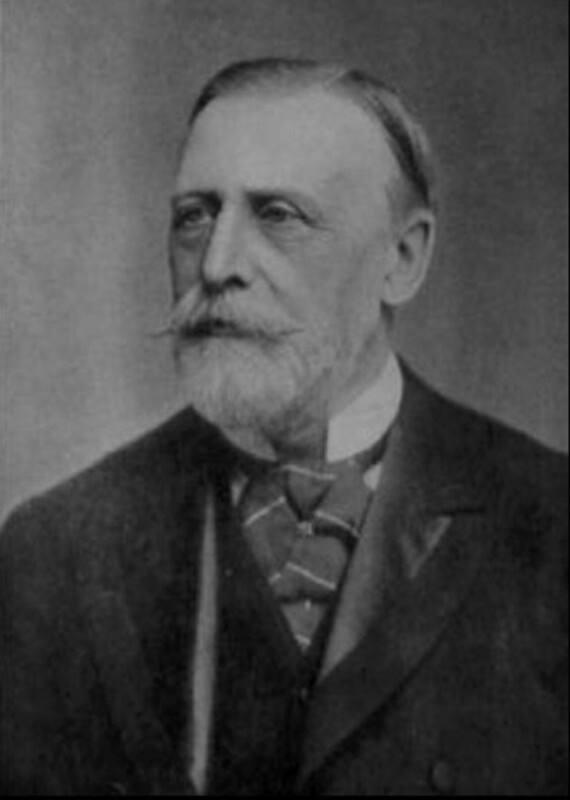 The economic organization of primitive societies became one of Firth's primary interests as indicated by his works on the Kauri gum industry and the fishing industry of Malaysia. Among his other chief interests were social structure and religion, especially of the Tikopia of the Solomon Islands, and the anthropological treatment of symbols. Firth was also well know for his work concerning sacrifices. In 1963, Raymond began his work on the influence of economics on the ideology of sacrifice. Died 22 Feb 1984 at age 12 (born 21 Sep 1971). Died 22 Feb 1945 at age 71 (born 15 Nov 1873). American physician who was a pioneer in public health and child welfare in the United States. She was appointed assistant to the Commissioner for Public Health of New York City, later heading the city's Department of Health in 'Hell's Kitchen' for 25 years. Convinced of the value of well-baby care and the prevention of disease, in 1908 she founded the Bureau of Child Hygiene after visiting mothers on the lower east side, thus helping to decrease the death rate by 1200 from the previous year. Her work made the New York City infant mortality rate the lowest in the USA or Europe at the time. She set up free milk clinics, licensed midwives, and taught the use of silver nitrate to prevent blindness in newborns. Booklist for Sara Josephine Baker. American physicist. Author of The Science of Musical Sounds (1916). Miller's collection of nearly 1,650 flutes and other instruments, and other materials mostly related to the flute, is now at the Library of Congress. To provide a mechanical means of recording sound waves photographically, he invented the phonodeik (1908). He became expert in architectural ecoustics. During WW I, he was consulted concerning using his photodeik to help locate enemy guns. Miller spent considerable research effort on repeating the Michelson and Morley experiment, proposed by Maxwell, to detect a stationary aether. He spent some time working with Morley (1902-4), then more time at Mt. Wilson, recording results favoring the presence of the aether. Died 22 Feb 1913 at age 55 (born 26 Nov 1857). Died 22 Feb 1827 at age 85 (born 15 Apr 1741). Died 22 Feb 1815 at age 53 (born 30 Nov 1761). Died 22 Feb 1512 at age 60 (born 9 Mar 1451). In 1828, German biochemist Friedrich Wöhler informed Jakob Berzelius that he had synthesized the organic chemical, urea. This was a landmark event, for it was the first time a material previously only associated with the body function of a living thing, was made from inorganic chemicals of non-living origin. In this case, urea had formerly been known only from the urine of animals. In 1630, popcorn was introduced to the English colonists by an Indian named Quadequina who brought it in deerskin bags as his contribution at their first Thanksgiving dinner. Popcorn is a type of corn with smaller kernels than regular corn, and when heated over a flame, it "pops" into the snack we know it as today. Native Americans were growing it for more than a thousand years before the arrival of European explorers. In 1964, scientists digging in southern Mexico found a small cob of popcorn discovered to be 7,000 years old. Today, the United States grows nearly all of the world's popcorn.